I’ve never been to Bali, and has no plan for any trip there soon. 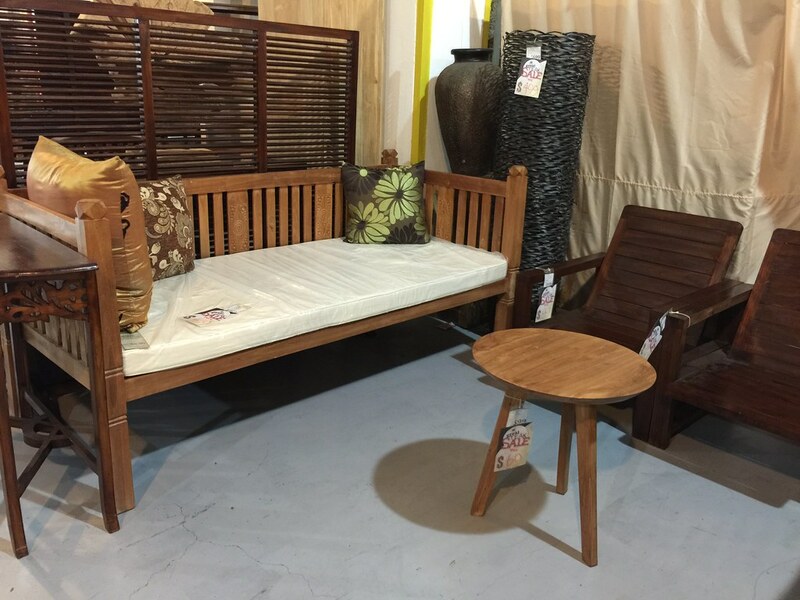 But I do love the laid back, wooden Balinese style kind of home decor and furniture. I’ve seen and loved many of these teak furniture but have never found anything that fits my budget before I was introduced to Wihardja. 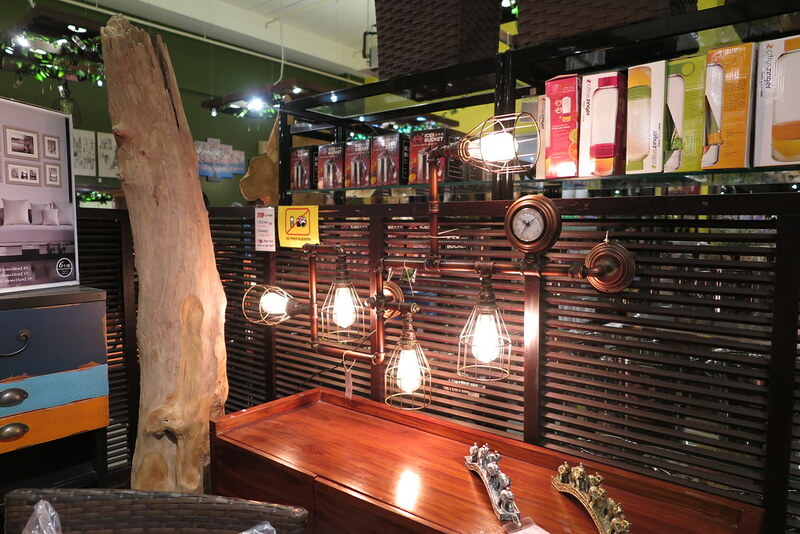 Love this simple display spotted at their Toh Guan Showroom. 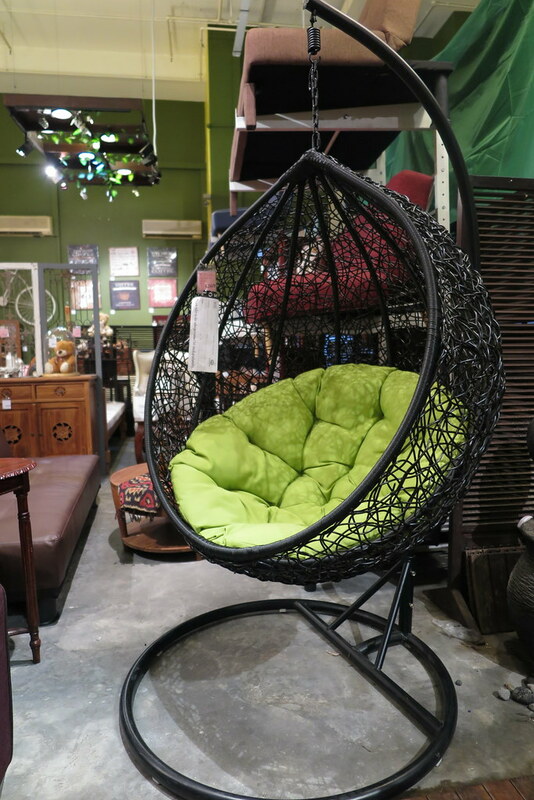 A good day bed or just to relax and rot the weekend away with your favorite movie and glass of chilled coffee. 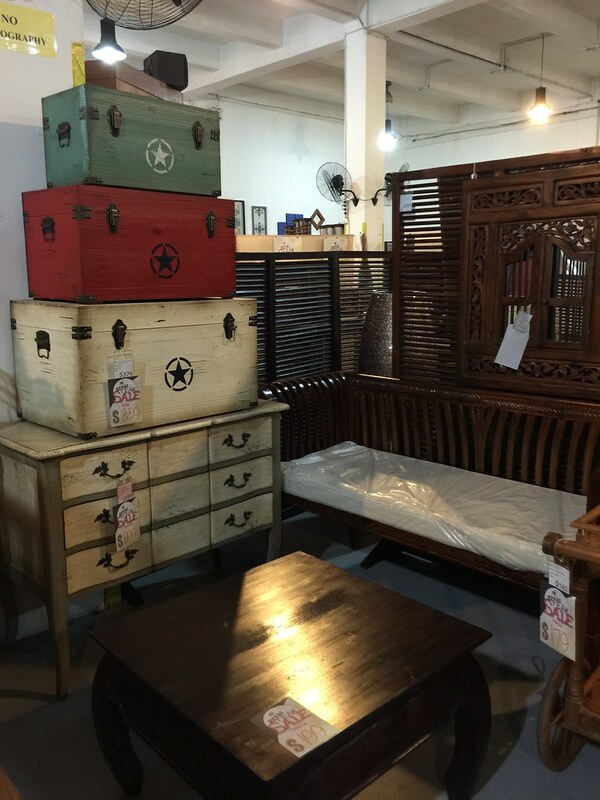 Wihardja, specialises in teakwood furniture, teakwood accessories, pottery ware and soft furnishing which are all made in Indonesia. 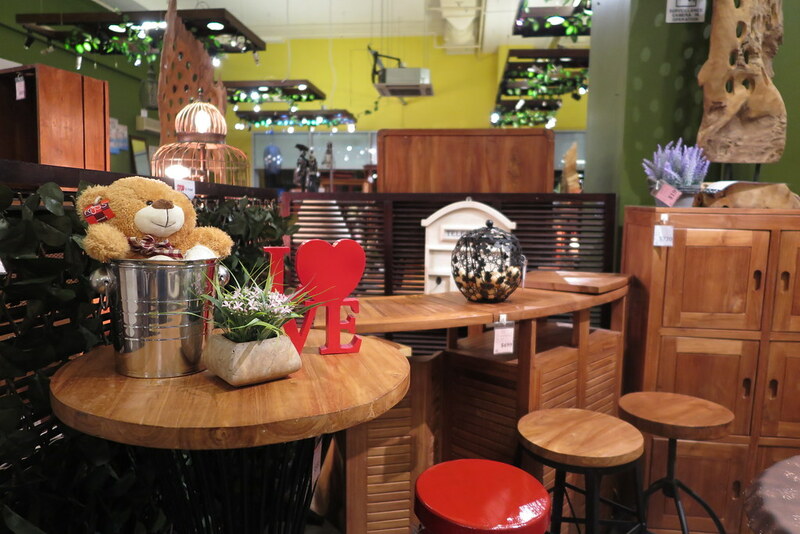 They started the teakwood business in 1997, operating from a head office in Singapore. 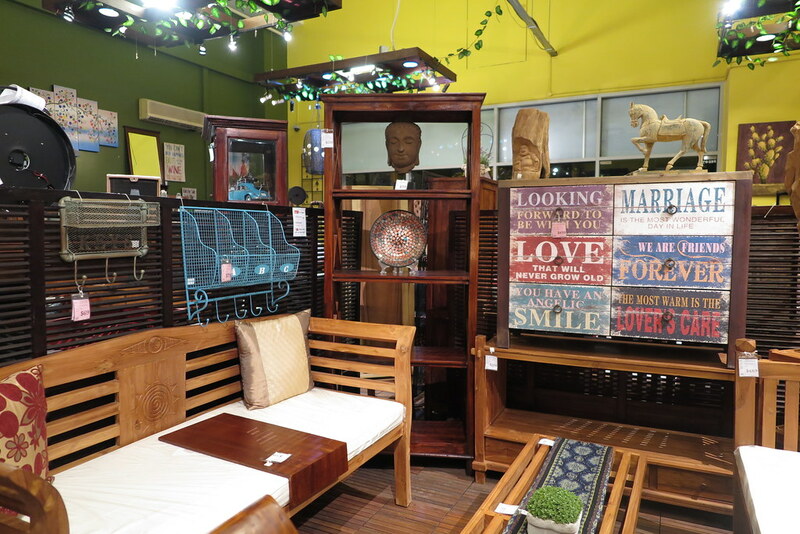 Currently, they have two showrooms in Singapore – one at Enterprise One Kaki Bukit and another at Toh Guan Road East. While their factory is located in Central Java. If you are wondering if they are in any way causing the haze we’ve been getting here in Singapore, well you don’t have to as they are totally off the grid. As their management has clarified, their factory does not condone the use of ‘slash and burn’ technique for the clearing of lands for cultivation. Though relatively young in the industry, they produce quality products with trusted endorsement from their clients. 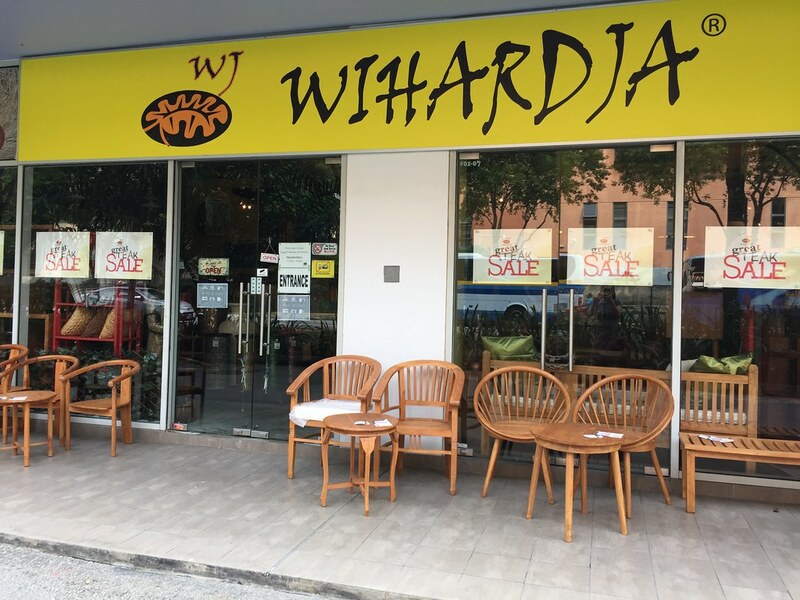 Many have became long time customers and eventually friends who always recommend others to check out Wihardja when looking for any teak or suar wood furniture. Wihardja also exports to the Asean region, extending to countries like Canada, Spain, Costa Rica and Australia. All shipments are effected directly from their factory in Central Java to their customers. 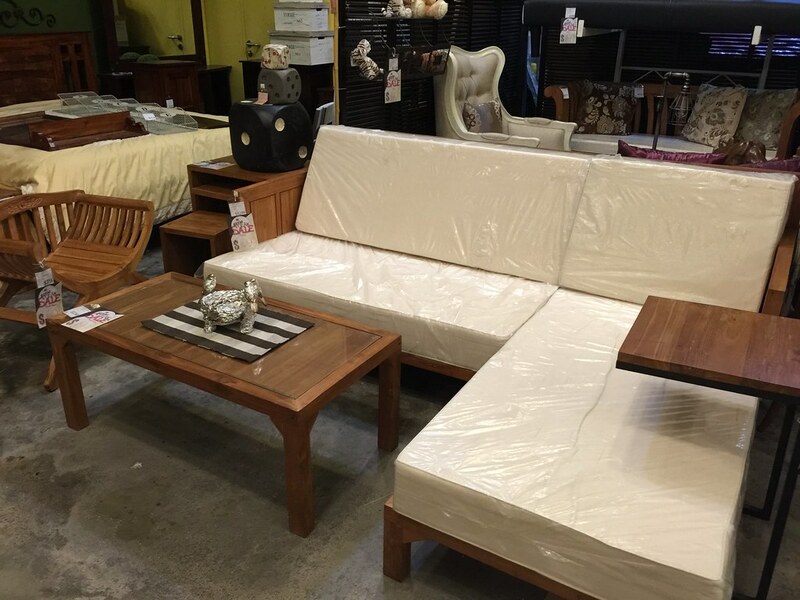 This cutting the need for a middleman, and hence able to offer their customers quality teak furniture at excellent value. 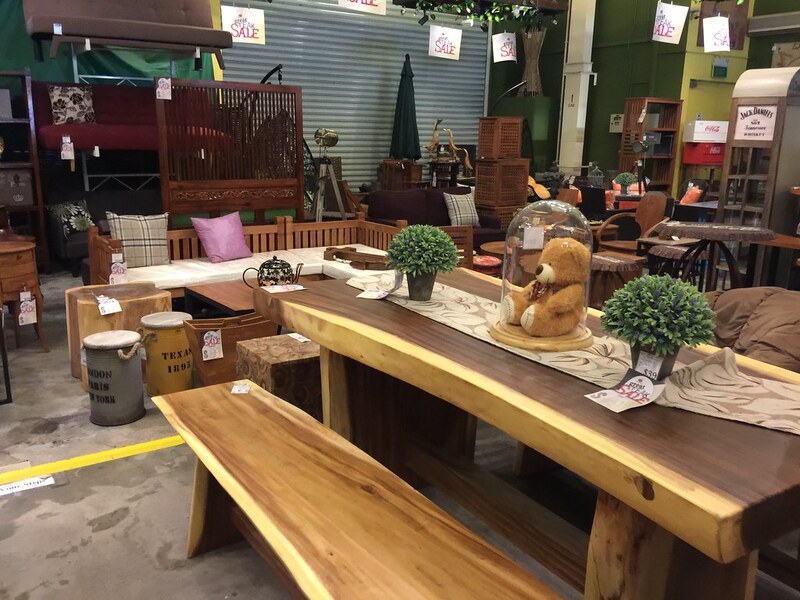 Talking about suar wood furniture, do you know that you can get a custom sized piece from Wihardja at almost half the price as seen at other places? This is possible as they do not keep stock and every piece is made-to-order. Though you are not able to dictate the grain and colours as you wish to get, but the quality and style is rest assured as good as the one you see at two-times the price. 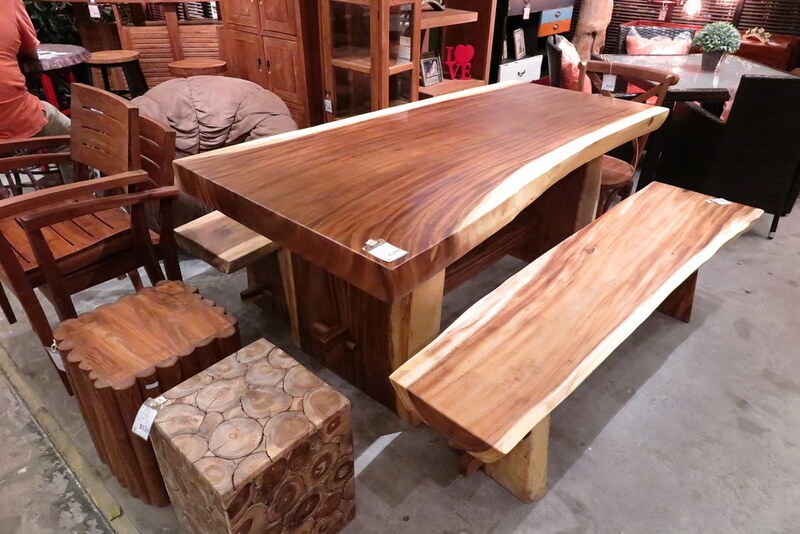 For example the table you see in the photo below, you’ll probably have to almost $3,000 elsewhere, but at Wihardja, this was tagged at less than $1,500. Not bad right? The other view of the suar wood set, I really really love this set! Love these vintage trunks and drawers. 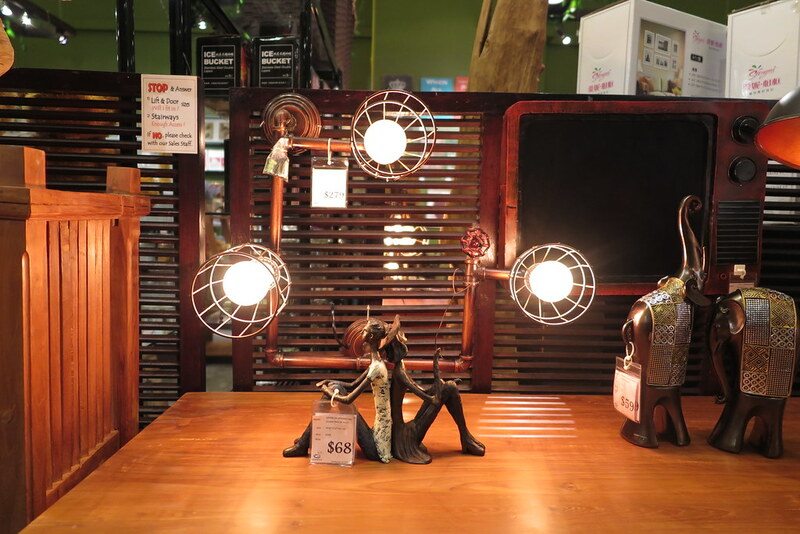 These lamps are so so pretty! Finally, this piece which I kept calling out my name when I visited their showrooms twice… “Bring me home… bring me home… bring me home…” And yes, that’s what I did. Can’t wait for it to be delivered this weekend! New cosy swing for our home! Both my girls are going to be spending lots of time swinging and playing iPad games in this I tell you! 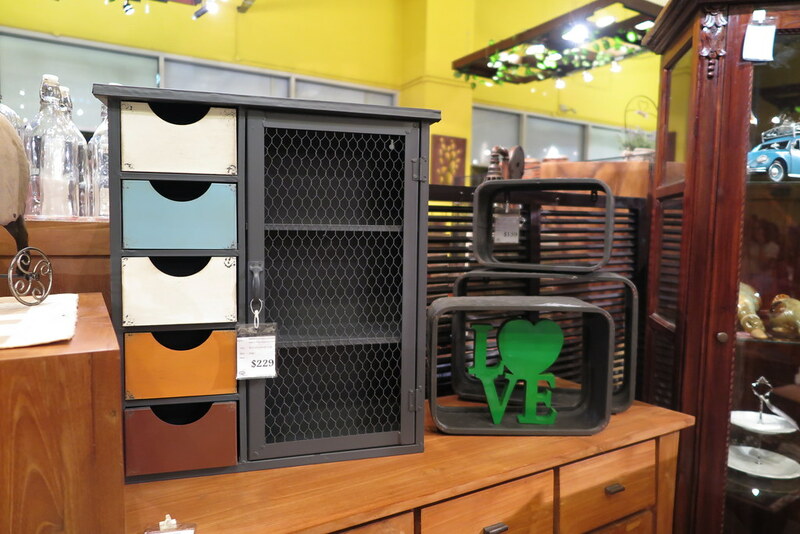 If you’re shopping for your new home or refurnishing for the new year, head over to Wihardja showrooms and check out what they have. You’ll never know when you’ll spot something you love from their showrooms. And if you do decide to make a purchase, quote “WJTheLovingMum” and get 5% off your bill! Only applicable for cash payment purchases. Hi do you have a store in Melbourne Australia, there’s an outdoor setting I really like if I wanted to purchase how do I do this thank you.